India, with its large geographical area, is home to many natural and man-made wonders which we are often not really aware of. Never ceases to amaze us with its natural beauty and this is what attracts tourists from all across the world to take a tour of this amazing country. While you explore the Indian soil, you will come across some intriguing mysteries and spectacular wonders. 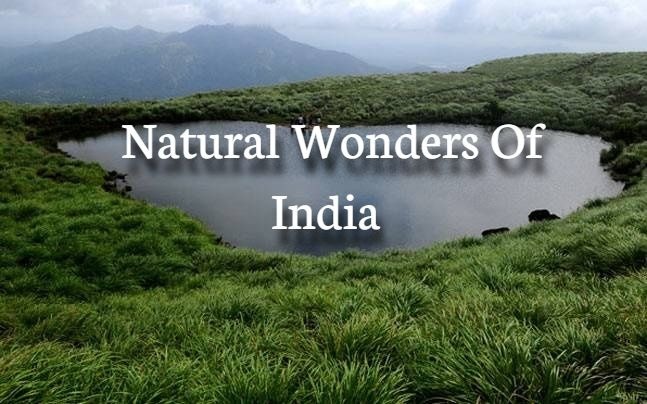 Here’s to the top 10natural wonders of India that will leave you spellbound with its strangeness and beauty. It is a rocky wonder of India on the Tirumala hills, situated in Andhra Pradesh. The arch formed around 2.5 billion years ago is a result of natural erosive forces. The formation is an attribution to the erosion of stream action and highly intensified weathering that beautifully withstood the twist of nature. What is I say there’s something that defies Einstein’s theory of gravity? Unbelievable you would say. 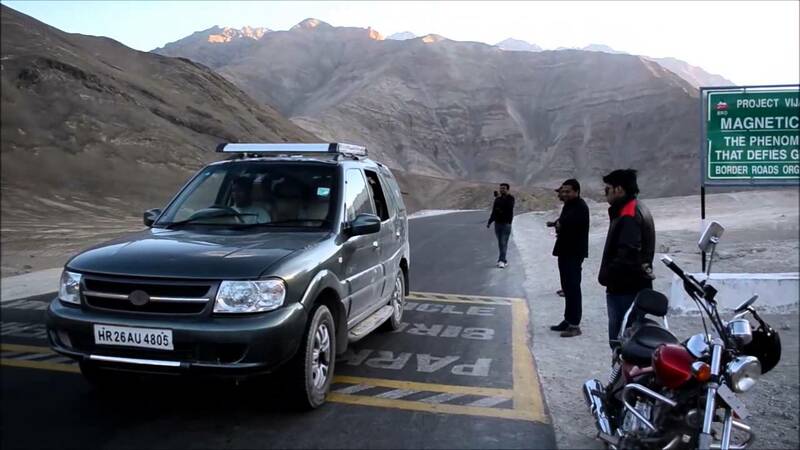 Experience it on your own when on a tour to Ladakh as the Magnetic Hill in the heavenly Ladakh Valley is defying the powerful theory since years now. It is said a car will advance upwards when kept on neutral on this mysterious hill. Of the several amazing wonders in India, is the name of huge marble rocks near Jabalpur. 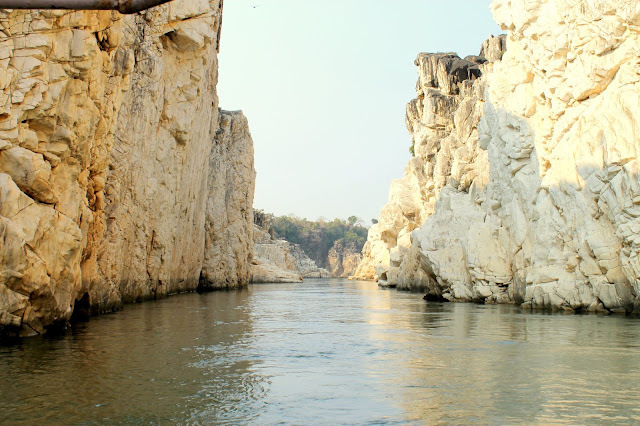 These rocks are cut and carved naturally by the waters of Narmada. You could allure the beauty of this place for a stretch of 3 kilometers with the 100 feet rocks soaring on both sides of the river. Believe it or not but the small coastal town of Mahabalipuram in Tamil Nadu has a surprising wonder for its visitors – a balancing rock. It is a gigantic rock balancing itself on a sloppy and tiny hill for more than thousand years now. 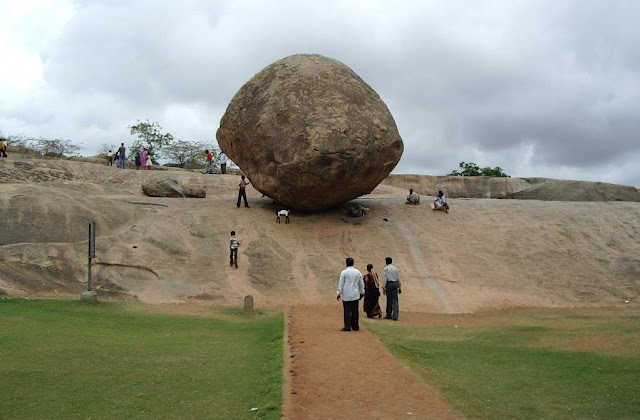 Several efforts have been made to roll it over but the Krishna Butterball, as it is named, would not move an inch! One of the rarest views of the natural wonders in Maharashtra is the Elephant Point or the Needle Hole Point in the hill station, Mahabaleshwar. It seems to be designed by a skilled craftsman but the truth reveals, the splendid view is the result of natural forces. The best way to visit the place is by booking your flights to Mumbai at Indian Eagle and then a short drive to Mahabaleshwar. It is a wide cave that narrows as you start moving in. 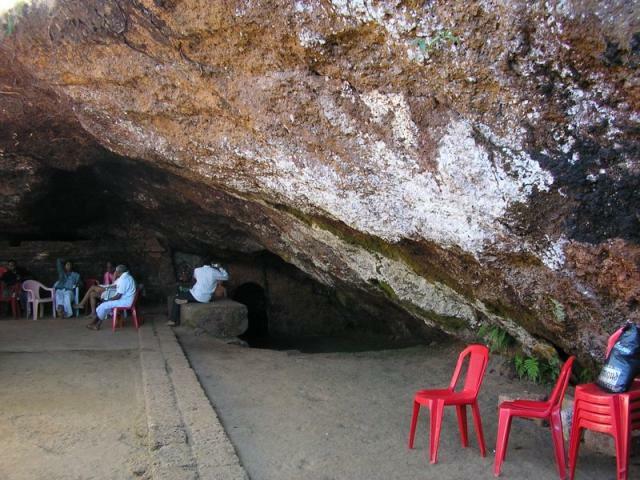 The visitors or travelers literally crawl through the cave till it widens again to find a lake and lingam (natural) of Lord Shiva. As a spiritual belief, people carry back mud of the lake. This is not just famous in India but is considered as one of the most amazing natural wonders on Earth. The holiest shrine of Hindus, the Amarnath Cave is home to Lord Shiva’s mystical yet magical ice lingam formed naturally every year from the water droplets from the roof of the cave freezing down on the floor underneath. 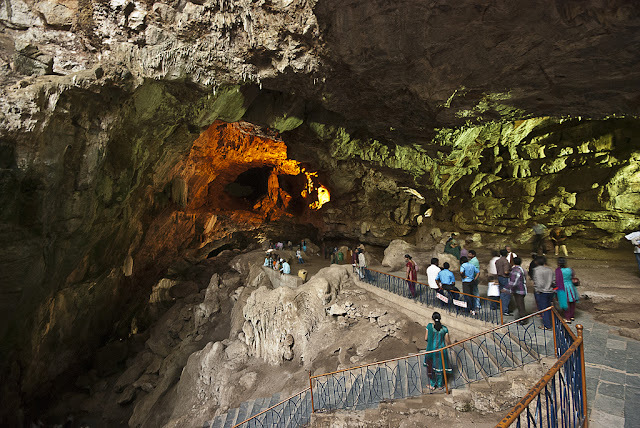 Recognized as the longest cave in the Indian Sub-Continent, Belum caves are situated in Kurnool, Andhra Pradesh. The formation of the caves is the outcome of the regular flow of underground water. It is the second largest caves in India with lengthy passages, fresh water galleries, siphons and airy chambers. 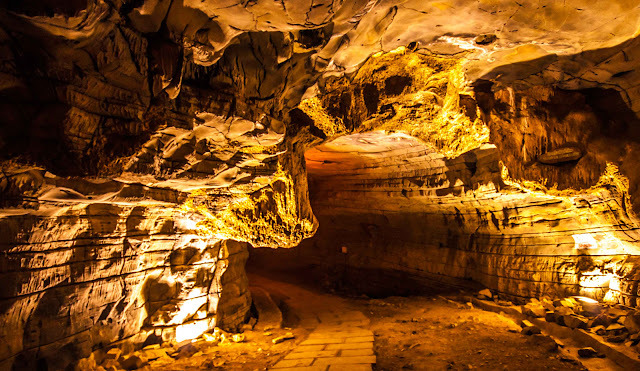 I have to accept that Andhra Pradesh has some of the top wonders of Indians I discuss the deepest caves in the country – Borra Caves. Situated high on the Ananthagiri Hills of Araku Valley, the cave is home to beautiful stalagmites and stalactites formed naturally inside. You will also find insects, fulvous fruit bat, bats and golden gecko. If ever you make a plan to explore the North-East region of the country, skip not this stunning natural wonder of India. 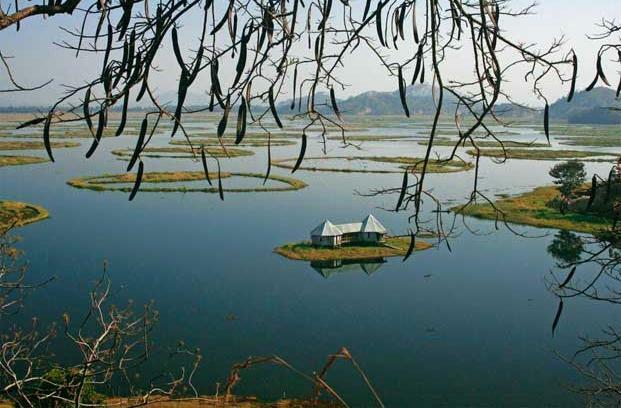 Loktak Floating Lake is the world’s only floating lake and largest freshwater lake in the North-East region of India. Serving as a habitat for 14 wetland bird species and 57 water-bird species, it also houses the endangered brow-antlered deer, Sangai. Don’t miss a chance to go awe-struck by the natural wonders of India. Meta Description: India is a vast land with several man-made and natural wonders to amaze the tourists coming from all round the globe. From the mystical magnetic hill to the only floating river of the world, here’s a list of the top 10 natural wonders of India you need to visit.